I’ll scratch the surface and more can be found via google. 22 yards (66 feet) is the basis of everything. 220 yards is a furlong (or 660 feet). When I was in high school, we still ran the 220 (and 440 and 880). It has been replaced by the 200 meters (400 and 800). The 1600 meters is still often affectionately call The Mile. 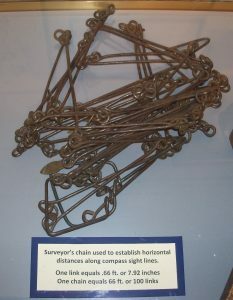 The Chain and the Furlong are 1D units of measure (lengths). The rest below are 2D units of area. A section is 1 square mile. (Remember, this is 640 acres.) These are seen out in the country all the time (at least here in the beautiful Midwest). County (country) roads are often 1 mile apart. Townships may have irregular borders due to it really being a town (like Macomb) or rivers. More commonly a township is 36 sections (6 miles by 6 miles). Sections are numbered starting in the upper-right (NE corner) with number 1, going west. The numbering snakes its way back and forth through the township, ending with section #36 in the lower-right (SE corner). Townships in McDonough County (Illinois) are shown. 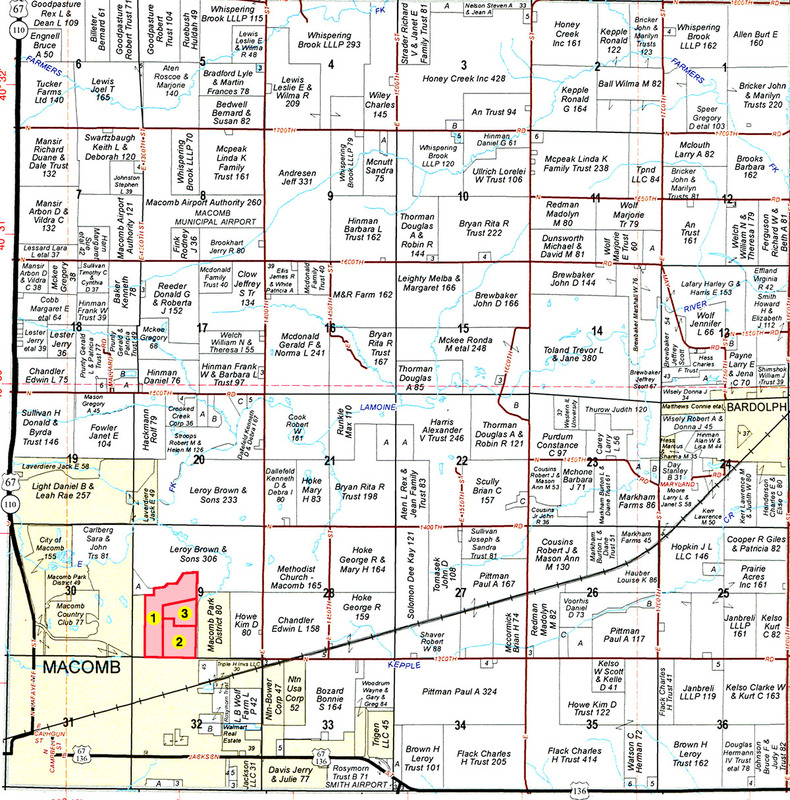 A map of the Macomb Township is shown. The land owned by Wesley Church is NW quarter of section 28. We all know what a county is. County borders are often irregular due to rivers or other reasons. A good example is the map of Illinois counties (shown). I will note that McDonough and many of the counties in Iowa (shown) are square (or rectangular). Frequently 4 townships by 4 townships. Frequently approximately 576 square miles. While a county may be “4 townships by 4 townships,” it is usually the case that there are more than 16 townships due to various factors. 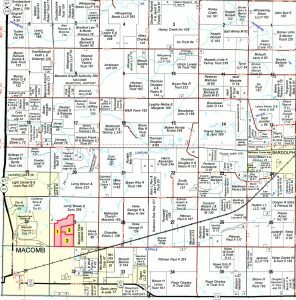 The Macomb Township map (above) is a good example. Our county is very symmetrical. It is a near-perfect square. The county seat, Macomb, is in the center of the county, and the courthouse is almost precisely in the center of the county. While attending the Milburn (Nebraska) School Reunion (July 3, 2016) I was fortunate to visit with a man (over a 1904 Platbook of Custer County) and he explained much of what I’ve written above. It’s Sydney Coker’s birthday today and since she lives in the country and is good at math (her dad’s not bad either) I thought it would be a good day to write this up. The accurate maps that were made in the 1800’s when the US was platted are amazing because they did not have the technological tools we have today. 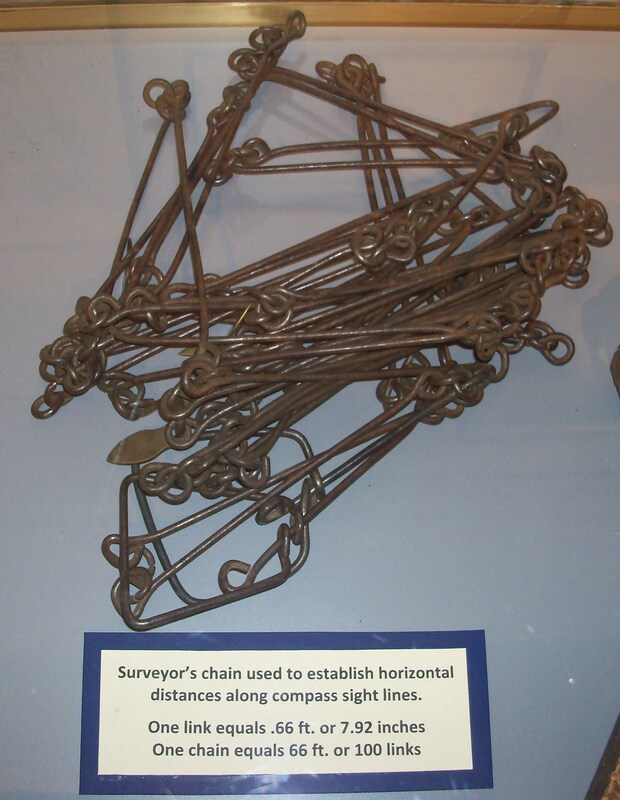 They did have the necessary mathematical tools. error (details explained here). Click image to enlarge. But what about the curvature of the earth? Since the longitude lines converge at the north pole, they are coming closer together as one moves north. This is corrected for a number of ways. One is that north-south country roads often have an (otherwise unexpected) jog in them as seen here. 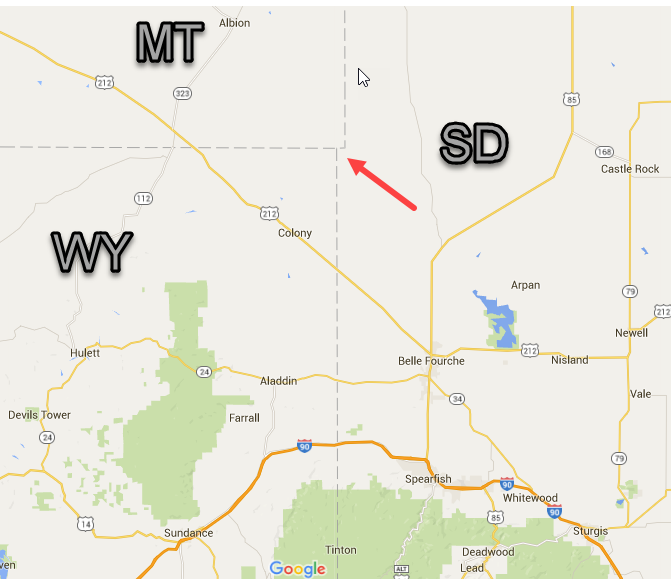 Also, it turns out then that not all sections (square miles) are actually 1 square mile. Many plat books do show the exact area (OK, a better approximation for the area) for a plot of land, when a correction was made. (You wouldn’t want to pay for 40 acres when you are only getting 39!) See Grid Corrections for more. The acre – has always been illusive for me. Here are three ways to visualize it. The system which I’ve tried to describe resulted from Thomas Jefferson’s Land Ordinance of 1785. There is certainly more to know about all this (and some terminology I’ve left out), but I’ll stop here. I welcome comments.